Not a week goes by that I don’t find out about some brave, passionate soles who put their money out and take a chance in starting a new winery. The Pinot Noir winery universe has become very crowded, but I found the following producers worthy of your attention based on my initial sampling of their wines. Because these wineries are relatively new, many offer Pinot Noir that has a high quality to value ratio. A few of the wineries listed are established, but 2015 was the first year I met with their wines. Analemma Wines Founded by Steven Thompson and Kris Fade in 2010. The cornerstone of this winery is one of the oldest vineyards in the Pacific Northwest - Atavus Vineyard. The small team farms a diverse selection of vineyards in the Columbia Gorge AVA. Featured winery at the 2015 International Pinot Noir Celebration. www.analemmawines.com. Ancillary Cellars A collaboration between celebrated Napa Valley vintners Mike Smith and Mark Carter. Carter owns the Carter House in Eureka, California, where the 301 Restaurant has a Wine Spectator Grand Award wine list. Smith began working for Thomas Rivers Brown in 2001, and Brown introduced Smith to Carter. The first Pinot Noir release was from the 2012 vintage. Vineyard sources are in the Sonoma Coast. www.ancillarycellars.com. Belden Barns The estate vineyard was originally planted on Sonoma Mountain by Dave Steiner in the early 1970s. The current owners, Nate and Lauren Belden, acquired the site in 2005 and restored the vineyard to historic standards. Much of the fruit is sold to notable wineries with some held back for the Belden Barns label launched in 2014 with the release of 2012 vintage estate grown wines. Justin Harmon is the winemaker. www.beldenbarns.com. 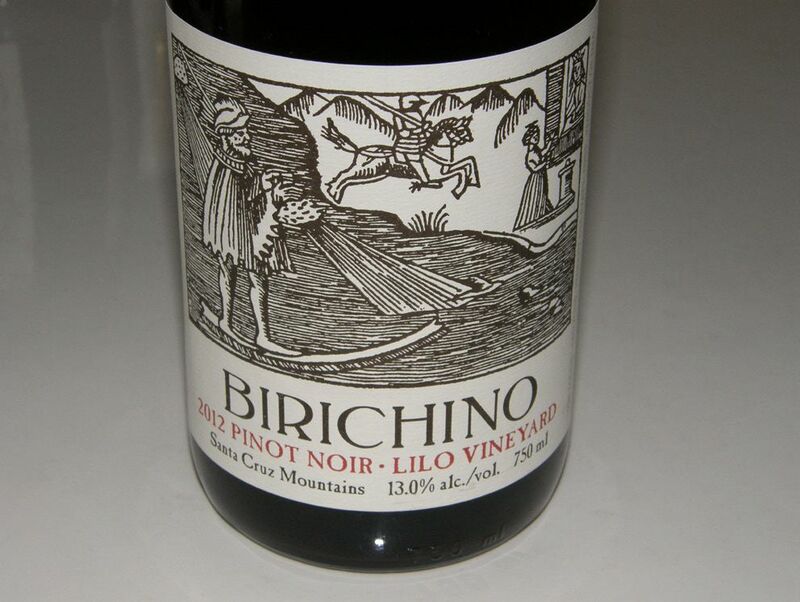 Birichino Wines Owners and winemakers Alex Krause and John Locke founded this winery in Santa Cruz in 2008. They have a combined 35 years of making and selling wine both domestically and internationally. Their flagship wines are Malvasia Bianca and Grenache, but their two Pinot Noirs are brilliant examples for the price. www.birichino.com. Bryter Estates Owners Bryan and Terin Ignozzi launched second careers when they released their first wines from the 2009 vintage. The 2012 Gap’s Crown Vineyard Sonoma Coast Pinot Noir was stellar. www.bryter.com. Cellars 33 A San Francisco urban winery that offered its first Pinot Noir in 2011. Proprietor and winemaker John Fones learned his winemaking at Freeman Winery in Sebastopol. Grapes are sourced from North Coast vineyards. www.cellars33.com. Conarium A partnership between winemakers Dan Green and Greg Nelson. Excellent vineyard sources in the Central and North Coasts. www.conariumwines.com. Cobden Wini Proprietor and winemaker Mark Davis, assistant winemaker at O’Brien Estate Winery in Napa Valley, crafts small amounts of Russian River Valley Pinot Noir. Mark is an honors graduate from UC Davis in viticuiture and enology. The inaugural vintage was 2012. www.cobdenwini.com. Crowley Wines Owner and winemaker Tyson Crowley worked with many of Oregon’s top producers before venturing out on his own in 2005. He favors Wädenswil and Pommard Pinot Noir clones and works with family owned vineyards that are cooler, high elevation sites. Growers are committed to non-irrigated vines and organic viticulture. Native yeasts, extended aging in mostly neutral oak and minimal fining and filtration. A featured winery at the 2015 International Pinot Noir Celebration. www.crowleywines.com. 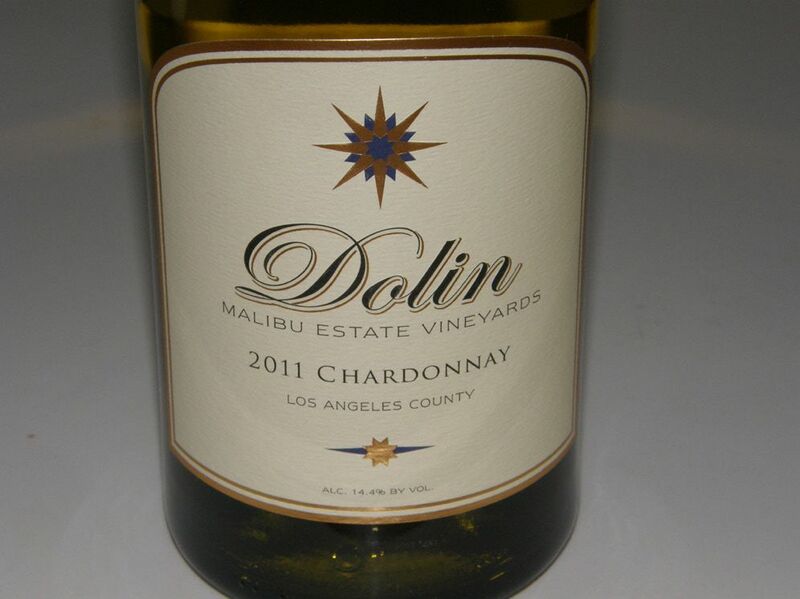 Dolin Malibu Estate Vineyards Launched in 2005 by Elliott and Lynn Dolin, this winery has emerged as one of the leading producers of new Malibu Coast AVA. The estate Chardonnay is outstanding as are the Pinot Noirs from notable vineyards in the Central Coast. www.dolinestate.com. Father John Winery Nicholas Maloney, a Sonoma native and grandson of the renowned Episcopalian priest, Reverend John Weaver, started is label in 2010. He currently lives in Beaune, France and produces Pinot Noir from Sonoma County sources and a Chardonnay from Burgundy. www.fatherjohnwinery.com. Keeler Estate Vineyard The Keelers bought a 200-acre farm in Amity, Oregon in 1989 and methodically planted biodynamically farmed vineyards. Darcy Pendergrass crafts about 1,000 cases annual of multiple varietals including an estate Pinot Noir that I recommend. www.keelerestatevineyard.com. LUMEN This winery is a partnership between iconic Santa Barbara County winemaker Lane Tanner (Hitching Post and Lane Tanner labels) and Will Henry. Pinot Noir and Chardonnay are offered from Santa Barbara County vineyards and reflect the elegant, lower alcohol style of Lane Tanner. www.lumenwines.com. Mignanelli Winery This winery was founded in 2011 by Byron Mignanelli, who focuses on site-driven coastal California Pinot Noir. Native yeasts, 40% or more whole cluster, and minimum additions. The wines are modestly priced considering the high quality. www.mignanelliwinery.com. Panthea Winery & Vineyard A boutique winery located in Philo in the Anderson Valley and adjacent Klindt Vineyard started by winemaker Kelly Boss and his spouse Jessa. The 2011 and 2012 Pinot Noir releases were particularly impressive. www.pantheawine.com. Ransom A small artisan producer of organic wines and spirits from Oregon grapes started in 1997 by founder Tad Seestedt. A 40-acre farm was acquired outside of Sheridan, Oregon, in 2008, bringing the winery and distillery together for the first time. Value priced Pinot Noir is produced under the Ransom and Jigsaw labels. www.ransomspirits.com. RASI Wine Company Rachel Silkowski, the young assistant winemaker at Loring Wine Company in Lompoc started producing a small amount of Sta. 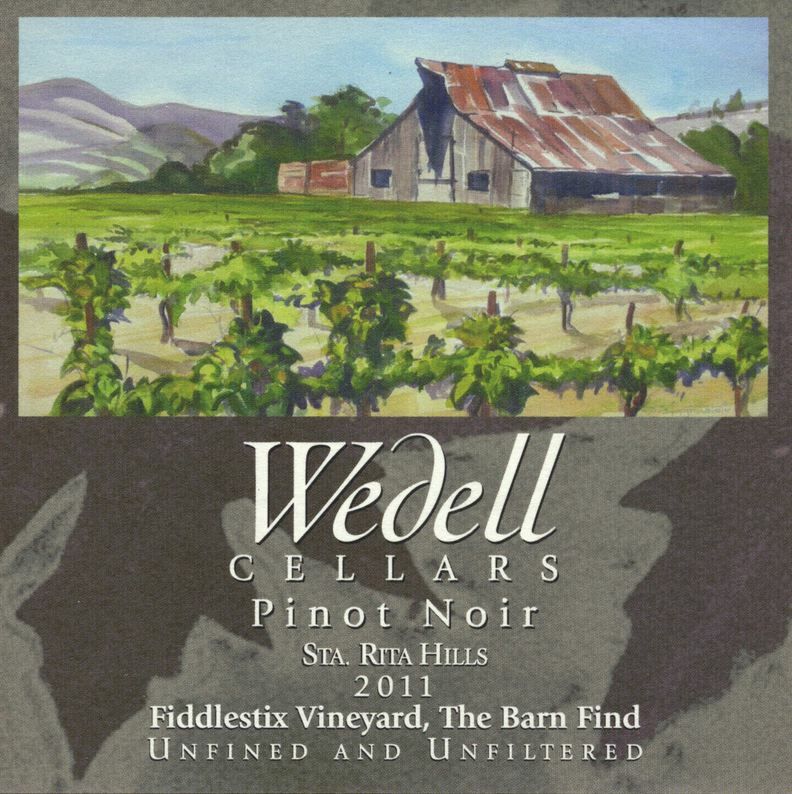 Rita Hills Pinot Noir under her own label (“racy”) with the 2013 vintage. The initial releases are impressive. www.rasiwine.com. Rubin Family Vineyards & Winery Ron Rubin offers wines made exclusively from the Green Valley of Russian River Valley AVA. A 20-acre estate vineyard supplies fruit for Chardonnay and Pinot Noir crafted by winemaker Joe Freeman. www.rubinvineyards.com. Reustle Prayer Rock Vineyards A family owned winery located in the Umpqua Valley of southern Oregon. Stephen and Gloria Reustle established their vineyards in 2001 and offered the first estate grown wines in 2004. A wines are estate grown from a 40-acre vineyard. The winery has won many awards in wine competitions. www.reustlevineyards.com. Screen Door Cellars Winemakers Bobby and Shannon Donnell produce small amounts of classic Russian River Valley Pinot Noir of exceptional quality. www.screendoorcellars.com. small + tall This boutique winery is focused on limited production Pinot Noir and Chardonnay from the Sta. Rita Hills and Santa Maria Valley. Owner and winemaker Joanne Duray developed a curiosity for wine as a child while watching her Italian immigrant grandfather tend to his wines in his Michigan basement. In 2011, after much imbibing and study, she transitioned from award-winning hobby winemaker to commercial winemaker. Her mentors have included Peter Hunken of Hocus Pocus and Wes Hagen of Clos Pepe Vineyards. She studied chemistry at UC Davis and earned a Vintage Certificate from UCLA. Wines are produced in Lompoc. www.smallandtallwines.com. (Sonoma Collection) District 3 Matt Stornetta and Ned Hill created Sonoma Valley winery Water into Wine, which produces District 3 Wine. Launched in 2014, District 3 refers to Sonoma and Marin counties, lumped together as one of the 17 different grape growing districts created by the California Department of Food and Agriculture. Matt Stornetta is the winemaker and Alex Beloz is the consulting winemaker. The winery produces about 800 cases of Chardonnay, Pinot Noir and a Red Blend with a very high value to price ratio. Stolo Family Vineyards & Winery Don and Charlene Stolo bought 53 acres just east of the downtown of Cambria in 2002 which included an existing 9-acre vineyard planted in 1998. Winemaker Nicole Bertotti Pope, who mentored at Domaine Carneros and Talley Vineyards, is the winemaker. www.stolofamilyvineyards.com. 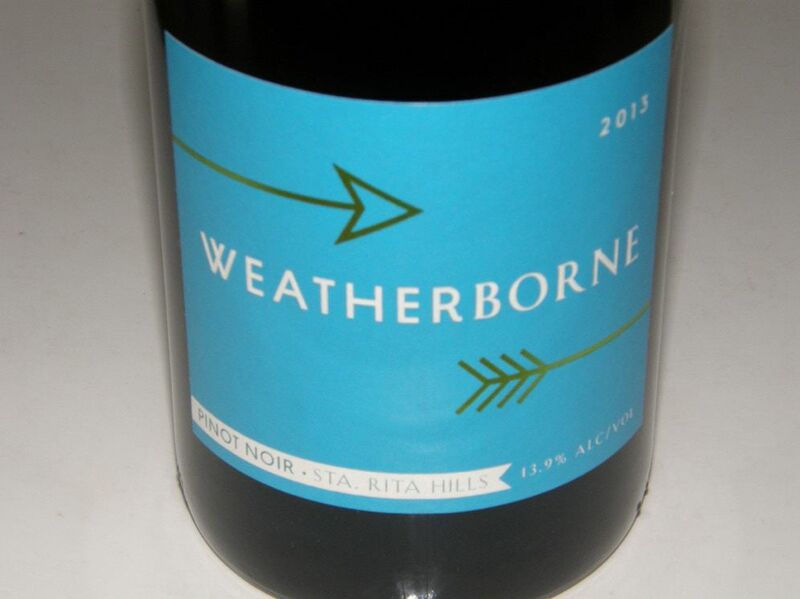 Weatherborne Winemaker Chris Carter released his first Sta. Rita Hills Pinot Noir from the 2012 vintage. A graduate of UC Davis, he has worked in a number of cellars in California, Oregon and New Zealand before starting his own label. I was really impressed by the 2012 and 2013 Sta. Rita Hills Pinot Noirs which also represent great value. www.weatherborne.com. Vin Ver’Ray A partnership of winemaker Julien Fayard and Cal Nicholson who founded Nicholson Jones Selections. The first Pinot Noir from this winery that I sampled was from the 2012 vintage, Conzelman Vineyard in Anderson Valley, and was an extremely satisfying offering. www.nicholsonjones.com. Violin Wine This winery was started by Will Hamilton in 2013 with a focus on Willamette Valley Pinot Noir produced from sourced grapes of five vineyards of friends and growers. www.violinwine.com. Wedell Cellars This winery is not strictly new to me since I reviewed wines from the 2005 and 2006 vintages. I reconnected in 2015 and was extremely impressed by the wines I was offered to review, one of which was one of my 2015 All-Americans. www.wedellcellars.com. The Withers Winery Proprietor Andrew Tow started out crafting a few barrels of wine for friends and family with the assistance of winemakers David Low and Tyson Freeman at Anthill Farms Winery in Healdsburg. The wines were so successful that Andrew and partners launched The Withers label in 2013. The winemaker is David Low assisted by Tyson Freeman. Pinot Noir is offered from Sonoma Coast and Anderson Valley vineyards. www.thewitherswinery.com. Wilde Farm Wines Noted winemaker Pax Mahle produces small amounts of Pinot Noir from Donnelly Creek Vineyard in the Anderson Valley. Wonderment Wines Owner and winemaker Stephanie Cook left a successful career as founder of a catering company to enter the wine business. She mentored at Robert Biale Vineyards and in 2011 crafted her first Pinot Noir. She honed her skills at Spottswoode, Anomaly Vineyards and Spy Valley Wines in Marlborough. www.wondermentwines.com.